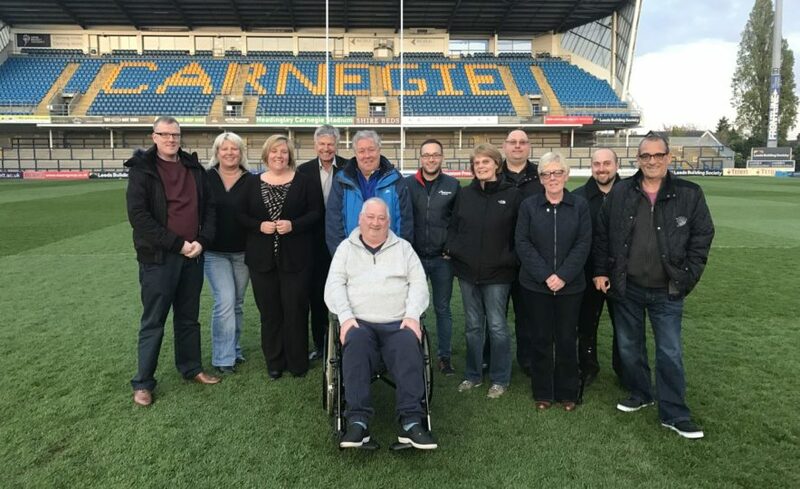 The Leeds Rhinos and Yorkshire Carnegie Fans Forum came together on Wednesday 13thDecember for the final meeting of 2017. The below minutes are in a condensed format and include all feedback which has come in from either Forum members directly or via fansforum@leedsrugby.com. The responses to all feedback are also included so if you send in emails prior to these meetings, the minutes include the replies from the Club. If you have any feedback for the club then please email fansforum@leedsrugby.com – you will receive a reply to your feedback and it will also be included in the meeting minutes and published shortly after the meeting has taken place. The Fans Forum will be going through a re-fresh process during 2018, so if you have any ideas for the future of the Forum then please email fansforum@leedsrugby.com. HAPPY FIVE YEAR ANNIVERSARY LEEDS RUGBY FANS FORUM! The only thing that people have mentioned to me is the website. I have had a couple of comments that it isn’t very user-friendly. 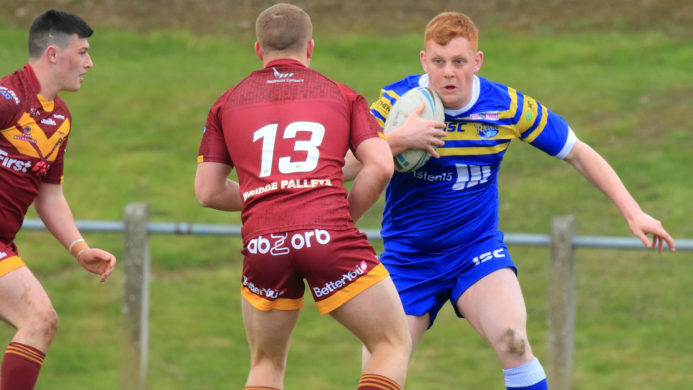 For example; the World Club Challenge trip isn’t very prominent, and it is difficult to find the information surrounding the trip details to go with the club. We would be grateful for feedback on the Rhinos website and which areas they find are not user friendly. Over the next few months we will be working with an agency to improve various areas of the site to improve such things as speed, so it would be good to have feedback on this. Is it a navigation or functionality issue or compatibility with mobiles/tablets etc. We are changing Web developers at the beginning of the year and they are currently working on a new design, which will include a home page that will be much easier to navigate. Again, any feedback on areas that people particularly find difficult to use would be welcome. Looking forward to Elland Road games, will be great if we get a big crowd. Real opportunity to sell tickets via all 3 clubs involved. Sian: We have now gone into partnership with ISC as they have taken over the Retail Operation for the next 10 years. 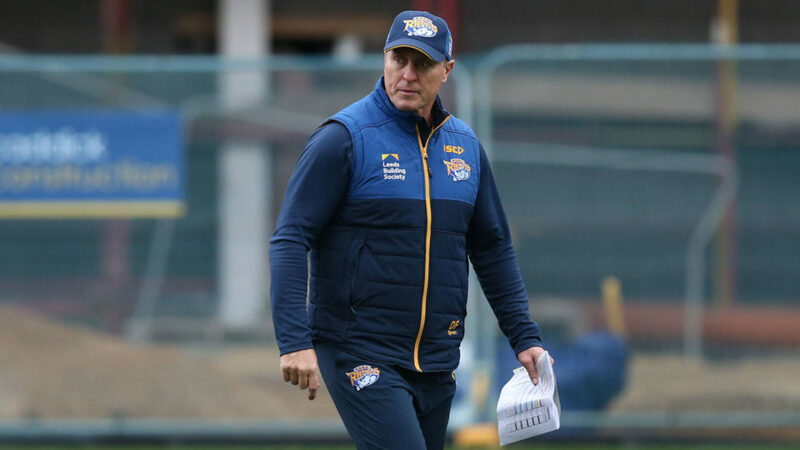 They are constantly developing and changing products and as a club we have a strong synergy with them – they are a Rugby League brand. I will be inviting them to a future forum meeting so there can be input from the forum and the feedback will help them develop. I’ve asked this before – why can’t the fans pick the away shirt? Maybe get down to 3 possibles, and then let the fans vote? Think the 2018 home shirt is a classic, I won’t be buying the away shirt. Sian: There is a potential of this for the 2019 season – we will put this idea forward. This could be along the lines of an online poll for people to register their favourite. Will there be a new Superdry range? Sian: No, I am afraid there will not be another Superdry range. Sian: Glad to hear it – the fans seem to really be enjoying the live camera action as the building work unfolds! Sian: Great – we are getting some positive feedback about it – we always strive to offer more ‘behind the scenes’ action where possible as it is content the fans like to see. Will the new North stand and the new South Stand be named after famous players (similar to Old Trafford). I think it would be a nice touch. John Holmes/Kevin Sinfield would spring to mind. Sian: There is a potential opportunity of this, but it is yet to be discussed. The North Stand will actually be the Emerald Stand based on the new ‘Stadium Naming Rights’ sponsorship deal which was announced recently. I’ve had a lot of feedback about the ticket office and how organised everything seemed to be renewing season tickets, considering the issues next year. Everyone I’ve spoken to has mentioned it so a pat on the back there I think. Sian: Thank you for this – always good to be able to pass on good feedback to the team – been a busy time for them all and a new concept for everyone so pleased to hear that the fans think this. Also, some good feedback on the disabled fans meeting. I couldn’t make it myself but have spoken to several folks who did, and they thought it was extremely useful and informative, a lot of folk are worried about wheelchair spaces and they felt a lot more reassured after the meeting. There is still concern about the games at Elland Road though. 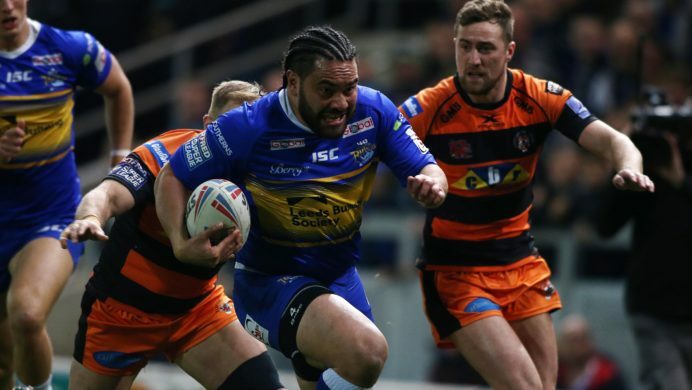 One really positive point is that Leeds Rhinos is only one of three Super League clubs that actually name a specific person acting as the Disabled Liaison Officer. The other two are Catalan Dragons and Widnes Vikings. It makes such a difference having one main person to contact. Sian: Yes, the disabled meeting seemed to be really well received this year and going forward will adopt a similar set up for it – although we have had meetings every year for the past few years, they have never really been well attended so hopefully more will attend in the future after we sent out the minutes to everyone. In terms of Elland Road, the facilities are great for disabled supporters and Megan who is the new Disabled Supporters Liaison Officer is managing this process personally to ensure everyone is looked after. The Ludo Lounge will be an accessible area for bar space on a ground level. I’ve had a few folks ask questions about the bars next year, with more people in the Carnegie and western terrace people are asking what’s happening as obviously the South Stand and North Stand bars will not be there so there will be more pressure on the Carnegie bars, are there any plans for temporary bars? stadium and also, we will have the Long Bar available pre-match only as a public bar. This will then turn into a Gold Members only bar post-match. Update on the retail piece – have ISC taken over all retail at the club? I attempted to take back an item I had ordered online and was told that I couldn’t return it to store and had to return to the webstore. Is this going to be the same all the time? Sian: Yes, they have. We announced it at the start of November when they took over. They have taken over the online retail and the Club Shop and the partnership is for the next 10 years. Since this point was made we have looked into store returns and will continue to look if we can receive returns in store. World Club Challenge viewing for fans. We should arrange a get together for fans to watch the game and have breakfast butties. We can charge a small fee to include a breakfast butty and programme (would it be possible to get hold of some programmes?). Either to be held at the club or in a bar in Headingley/city centre. Similar to the “unofficial wcc after parties” that I arranged in the past which were well attended. Sian: We would like to screen it in the Carnegie Café Bar at the Stadium after the success of screening the World Cup Final on Saturday 2nd December and also, we are potentially linking with a City Centre venue. The difficulty will be that it is a Friday morning screening at 9am so although we are planning to do this we cannot confirm how well attended it will be – happy to work with the Fans Forum members on this. For the Elland Road fixtures will the club be putting on buses to get people from Headingley to Elland Road? Sian: No, we will not be offering this. There is a shuttle bus service from the City Centre as per all Leeds United home matches and also plenty of parking available around the stadium. The cost of the official trip to Aus for the WCC is a bit steep and not appealing to the ‘normal fan’ we can go out and approach local agents and do the same trip duration etc and get for around 40% of the cost charged by the club. It seems the club are just seeing this as a money spin rather than getting as many Leeds supporters there as possible. Shame. Can you ask if ISC will produce more cotton polo shirts as the polyester ones are not great sweat wise” – I also find the polyester ones look a bit cheap and click easily on Velcro/zip etc. Sian: We used to order cotton polo shirts, but they were not very well received hence them being removed from the range. With the new ISC partnership they may look into bringing one in but there are cotton polo shirts in the leisure ranges that are brought out periodically throughout the season. Generally received positive feedback re Carnegie Stand being only viewpoint during RU season. Was some disquiet ahead of season start, but people seem to have been won over! Sian: Glad to hear it Ian – with the smaller capacity and the ground being such a building site, the Carnegie Stand offered everything we required for Carnegie match days, so I am pleased to hear that fans are seeing it as a more positive once the season has begun. Is it worthwhile continuing with post-match interviews whilst players are using cricket facilities to change, as it takes an age to have players available for interview. Sian: This is something we will be looking into. Due to the redevelopments, the players are coming off at full time and heading round to their lounge area, once they have had a post-match talk they then head to the cricket pavilion to get showered and changed. We will maybe look more into utilising the non-playing players for these types of interactions as they can be readily available post-match. We read with interest the minutes of the disabled meeting and have some additions to it. We trust that the appropriate staff i.e stewards/ security will be carefully monitoring the following when the 2 stands are complete so that able bodied fans don’t abuse disabled fans amenities. Sian: Due to it being a new stadium setup we will be ensuring that all stewards get the correct training for the areas that they will be working in. This will involve having specific training as to who will be able to use facilities etc. Why did we have to apply for tickets for the Elland Road games if they are included in our season membership? Sian: We wanted to make it easier for people to get their tickets for the game. By having the booking form like the ‘IF’ forms we do when it’s a final, it meant that you can book both games and send the form in for a hassle free way of booking the games. It meant not having to queue on the phone lines or in the shop and meant you could sort both games out at the same time. Danny: Could the Elland Road games be an annual thing? Sian: We need to see how well the two fixtures go for us. If it is a success and a benefit to the club then we can look to showcase a game there once a year. There is a lot to take into consideration in terms of sponsor hoardings and the money it costs the club to host a game there. We need to take into consideration that we are spending a lot of money developing our stadium so to take it somewhere else would need have greater benefits. The lunches everyone is enjoying the hot meal with fresh vegetables and they wish to send their compliments. Clean plates every week. All enjoyed the extra attendance created by the students; we hope they want to return. Everyone has been very positive about the stadium and are keenly watching the progress. Sian: Excellent positive feedback – thank you Andrea. The sound system up and down like a Filey donkey! It’s either too loud, just right or too quiet – mostly the latter. Sian: We have had some issues with our PA system. Obviously with the stadium redevelopments we had to take down the PA system we had in the North Stand and South Stand. The new system is now set up in the TryZone building towards the Western Terrace. It has become very hit and miss and works when we test it and then sometimes fails on match day. We will be looking into improving this for the upcoming games. The match day programme has less content. Sian: The Carnegie Times is actually smaller in size this season. So much content goes online and is readily available at the click of a mouse. We aim to put as much in the Carnegie times for the game but with there being so much content online it is putting the most upto date information in. Post-match Café Bar experience is hit and miss which is probably due to changing room logistics. After the Bristol match there was only a handful of our players, no coaches. In general, the squad seem to float off rather than attend. Starting the post-match chat is getting later and later after the final whistle too – again I suspect the logistics impacting. We have mentioned before that the menu in the café bar on match day doesn’t promote yet again no menu in the café bar just “main meal option”. This is from the last 2 home games. I personally only eat in there rarely but know that the food is good, and this is not exactly selling it. Sian: We will look to advertise the meal options around the Café bar rather than just listing meal Option 1 etc. 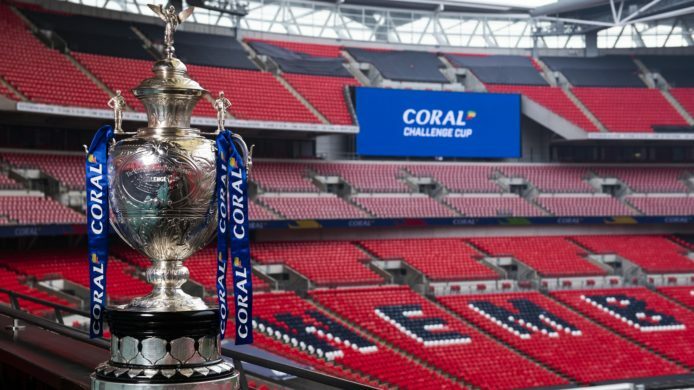 Feedback on everyone being in the Carnegie stand is mainly ok- the big screen helps and most people are accepting of the situation we are in – the announcer has been a bit hit and miss however. Are these issues now resolved? Sian: Again, this is relevant to the PA System feedback earlier. The atmosphere at the Bristol game on the Friday night was excellent (although the rugby was a bit of a challenge). Loved the band and there has been a lot of positive feedback about them. More please! Sian: We had a promotion running for this game whereby a student would get a ticket and a pint all included in the price. These sorts of promos are very well received and do create a great atmosphere. It would be good to get construction updates on the Carnegie site – is this possible? Sian: SMUK have set up a live feed of cameras that shows the construction of the South Stand and the North Stand. These links are available on the club websites or via SMUK South Stand and SMUK North Stand on YouTube. The fans meeting on 1st October was positive, however it would be good to get some follow up on progress since then. I don’t expect another meeting however, there are rumours around again about the future of the club and it’s pretty well known that (publicly at least) there are currently no players contracted for next season. What are the plans to communicate further on this? Sian: We are looking to get a potential update from David Dockray, but currently he is in Australia. It would be good to enhance the Carnegie Times content, like previously discussed and have ‘A message from your Chairman’ type editorial piece. We will look into this. Where are the minutes for the July Fan’s Forum? Was the July 2017 meeting the last meeting? I’ve already expressed my dis-pleasure re the ticketing arrangements for the two ” home ” games at Elland Rd. Viz. it isn’t possible to reserve a specific seat or seats in any of the stands. I can’t believe that this couldn’t have been arranged in advance. Sian: During 2017 we reduced the number of meetings we had for Fans Forum. This was due to a number of reasons. Where we had a meeting, we did publish the minutes for the meeting. In terms of the Elland Road games and reserving specific seating, we have done it the way we have to help our supporters and make it easy for them to get a ticket for the game. 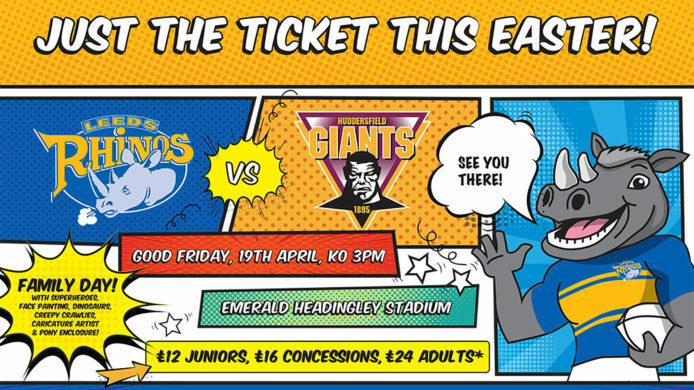 The stadium is only open to Leeds Rhinos supporters in the North Stand and East Stand so therefore there are only certain seats available. This had to be made available based on a first come first served basis and that is why we did our priority booking form to help with this. I know that the toilet facilities for Ladies were inadequate and will no doubt be improved in the new stand but the Gents, whilst crude, did provide a reasonable capacity. Will the new facility provide the same ‘flow rate’ as the old? Sian: The facilities will be a lot better than previous. The facilities we had within the stands were old and dated. There will still be urinals etc. to help with the flow rate and enough to be able to manage the capacity.